It’s really hard to imagine that at some point of human civilization, we have become capable of printing out our ideas and imaginations. We started out by printing papers, but now we can print out an entire building! 3D printing has become the new craze now with the availability of different 3D printer models on the market. From individuals to multinational corporations, 3D printing has become the talk of the town. It’s no surprise that sooner or later a 3D printer will become just as essential as a phone or computer at home. Its versatility and usefulness could make your life a whole lot easier. If you don’t have one, you are clearly missing out on all the cool experiments that you could do with it. However, you can still create your own computer-generated 3D printer models and ask a professional 3D printing service to print them out for you. But if you do have a 3D printer, you won’t need the help of an expert. Here are some creative ideas for you to try out, which will help you have a better lifestyle and save some money as well. You have probably faced moments in your life when your iPhone fell from the table and you were utterly devastated. If you had a 3D printer, you could just print out a stylish smartphone stand! You could create the shape of the stand according to the size of your phone or tablet and put it anywhere you want, such as on your table or on the wall. With an excellent 3D printer, you can also create a DIY phone cover for your phone. Go online for interesting designs and ideas that you can incorporate in your phone cover to make it relevant to you personally. Did you know you can even make sound amplifiers using 3D printer models found online? You can even make your own model if you want. But if you are a beginner, simply order a model to be printed and try it out. Place your smartphone inside and allow the sound coming from the tiny speakers to reach the corners of your home! Don’t you feel frustrated when you see cluttered wires and cables all over the house? I find it incredibly annoying when I see my earphones and USB cables are all tangled up because trying to separate them is such a nuisance. I needed a quick and easy solution to this, so I printed out my own wire cases and compartments with my 3D printer. Since then organized wires have made my life a lot easier. You can also make spools for long wires lying on the floor. Surround the spool with the wire so they remain organized and you don’t accidentally trip over them. Your keys need some organizing too. We all have multiple keys of various sizes that we don’t want to lose. Well, your 3D printer can come to your rescue! You can make many awesome 3D printer designs for keyholders and keychains. You can make unique keychains for the kind of keys you own. For example, you can create one keychain for all your home keys and another for your office keys. Create a keyholder for keys that are not used so often, such as wardrobe and drawer keys, and store them inside. Did the soap dish in your bathroom break or fall? No need to worry, you can easily create your own 3D printer designs for your soap dish and print out the one you like the most. Hang it on the wall and place your soap in. If you want to take your creativity one step ahead, you can even make soap casings to store your soap in. Using your 3D printer you can also create other accessories for your bathroom, such as toothpaste and toothbrush stands, towel stands, toilet paper holders and even baskets to keep your laundry in. We all like decorating our houses, right? I took my 3D printing obsession to a whole new level by printing out almost all the ideas I had to decorate my home. I printed out various kinds and sizes of flower vases and photo frames. I stuck some printed out designs onto the walls of my kitchen and dining room. I also made stands for knives, cutleries and pens. But I still felt something was missing. Then I realized I needed to make hooks and hangers for my clothes. I even made tiny but pretty little door hinges for the kid’s room. With my creative imaginations, I tried to make my home look wonderful and so can you. If necessary, you can get ideas online. To make our favorite recipes, we need to add ingredients in the right amounts. These amounts are measured using measuring spoons. Whether teaspoons or tablespoons, you can print them out following your own designs without spending a single penny on buying new ones. The same is also true for glasses and jugs. Get creative and print out measuring cups and containers where you can keep various kitchen items. So many people out there (including my wife) stand in awe of the earrings and accessories they see online. They wish they could lay our hands on all of them but we just couldn’t in the past. Well, thanks to 3D printers, you can now design and print your own jewelry right at your home! It might not feel like real jewelry, but you can wear them comfortably and create as many as you want. You can try printing out jewelry boxes so you can keep your rings, earrings, necklaces and anklets from tangling with each other. My wife printed out stands to keep bracelets and bangles and even a tiara that my daughter loved! You can even gift your awesome printouts to people you care about. Create your own 3D printed pots and grow flowers inside . Not just flowers you can grow any plant you want and decorate your home and lawn. Some people have even gone beyond these conventional methods and created large stands to keep different types of plants. Some plants are climbing plants, such as morning glories and strawberries. You can print stands to allow creepers to climb upwards. This will make your balconies and gardens look way more amazing. There are some things you don’t need to go to the grocery stores for. If you have a 3D printer, you can easily print out customized bottle openers and coasters for your drinks. Some music lovers have tried to print out guitars while some sports enthusiasts have tried out various models of skateboards. Guns and cars have been printed out too. If you are used to 3D printing, take on various 3D printer projects, such as printing out some chairs and tables. For your kids, you can create toys, cute lamps, wind chimes, and dream catchers. You can also try to print out a pet house for your pet. After all, although it has its own flaws, your 3D printer has something to offer for every member of the family in the most cost-effective ways possible. 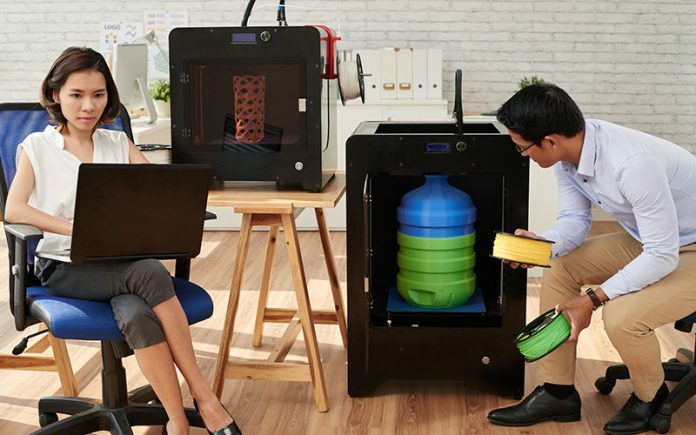 3D printers used to belong to the commercial and industrial sectors only, but there are numerous 3D printer models now that are slowly seeping into the lives of the common folks like us. 3D printers are the real deal now, and trust me, you might get easily obsessed with one sooner or later. Although DIYers are trying out various printing models and ideas with different 3D modeling software, there are still no laws or regulations regarding the use of 3D printed items. For example, there are no clear restrictions on making 3D printed guns or using 3D printed cars. 3D printed houses are also springing up, though their safety issues are yet to be determined. It seems nothing is impossible when you have a 3D printer with you. Next articleFace-Off: 3DS Max Vs Maya – Who Does 3D Modeling Better?